MAKE IT HAPPENs first foals have been born and we are thrilled to see them. During his first season he bred 150 mares, one third of those were bred abroad. Make It Happen Make It Happen is Conway Halls second fastest and third most winning pedigree. Conway Hall is also sire of Triple Crown, and Hambletonianwinner, Windsong's Legacy 1.10,2, 1.744.644 USD and Hambletonian Oaks winner of 2008 Creamy Mimi and Kentucky Futurity-winner 2010 , fullbrother of Make It Happen, Wishing Stone.. The outcross of Conway Hall on a ValleyVictory-filly is the same as successful winners such as Pizza Dolce 1.10,1, 668.824 USD, Southwind Elian 1.10,6, 177.970 USD, Velma K 1.11,7, 171.857 USD. Four more have earned over 100.000 USD. The filly Jersey Gal won Acorn Stakes as a 2-year old and was third in Elegantimage Stakes. Man of Action won Walnut Hall Cup and International Stallion Stakes as 2-year old. The dam of dam Making Miracles is from Davidia Hanover (Super Bowl) who has left Natashas Kiss (Balanced Image) 1.13,0, $275.922. Lindy's New Lady (Balanced Image) 1.13,4, $209.101 who is dam of the Dexter Cup-winner Lindy's Five Hundred (Lindy Lane) 1.13,1, $233.596. 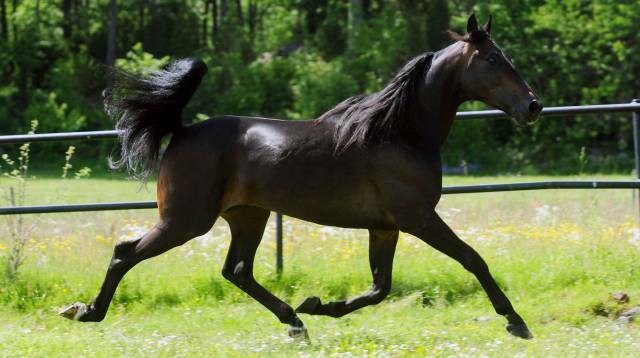 The dam of Davidia Hanover, Descent is a halfsister to Pizzaz who is dam of the Finnish champion stallion Choctaw Brave. Make It Happen earned 273.988 dollar as 2. He won three times in 14 starts. Three times second and third. He was second in Valley Victory finals and Harriman Cup. Record was 1.12,2 as third in International Stakes ($90.050). 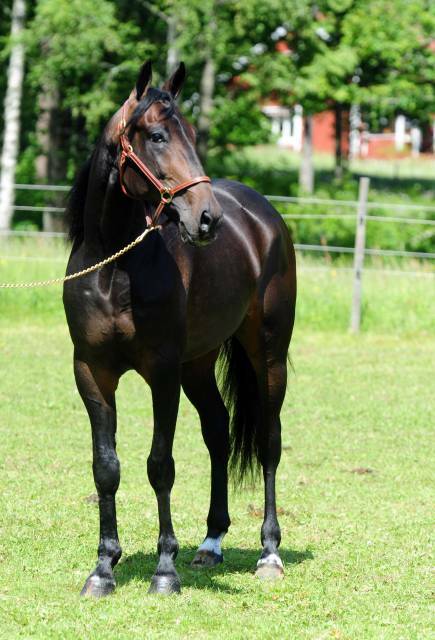 He won New York Sire Stakes twice and was fourth in finals ($150.000). As 3 he won four times, and three times second and third. The 3-year-old season he earned $633.921. He won the finals of Empire Breeders Classic ($232.375) timed in 1.11,4. He won the elimination with many lengths. He won Zweig Memorial ($153.550) and New York Sire Stakes ($38.755). He lost in photofinnish in finals of Yonkers Trot ($605.854). He was third in Hambletonian and was fastest at homestretch with 1.09,6/400 meters timed in new record 1.10,0 behind unbeaten Deweycheatumnhowe and Crazed. Make It Happens offspring are nominated for Breeders Crown.